I do what I can to try and be green - reusable bags, composter, rain barrel. So I was really excited to hear Rochester was hosting Greentopia - a festival for sustainable living! 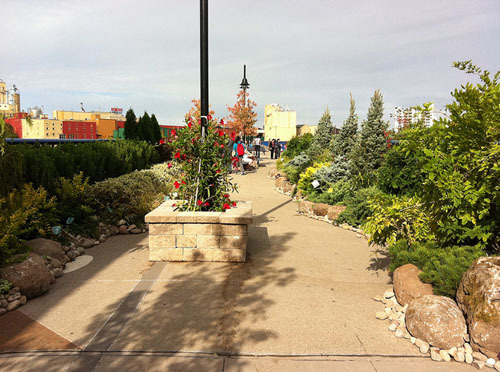 They were raising funds to make the bridge over High Falls into a green park like the High Line in NYC. 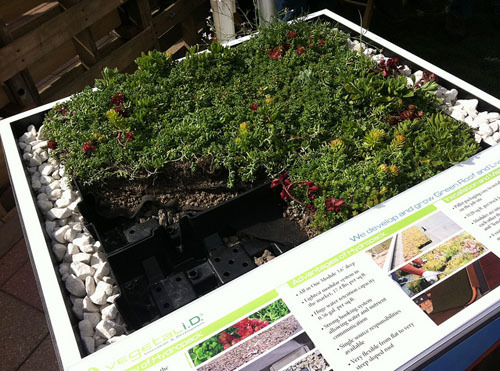 There were interesting displays like this green roof demo, live bands, food (Sammich truck!) and vendors. 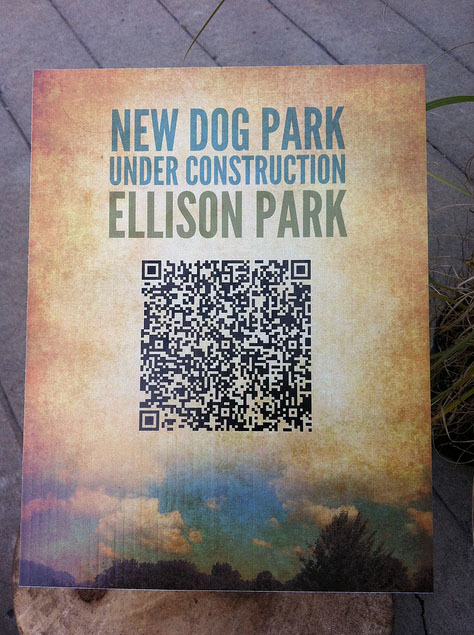 There were QR codes with information about Rochester Parks and I discovered that a dog park is being added to Ellison Park! Oscar and Hugo will be thrilled!